These 15 Easter Dessert Recipes are sure to be loved by all ages. Happy Spring! I love this time of year and spring is definitely my favorite season. I love seeing all the plants and trees come back to life, all the beautiful colors of the flowers starting to bloom and fresh produce starting to come in. 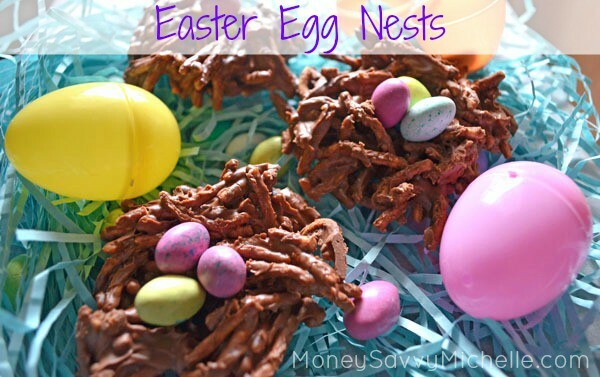 Plus, there’s Easter with all the cute crafts that come with it, not to mention the ham and peanut butter eggs. 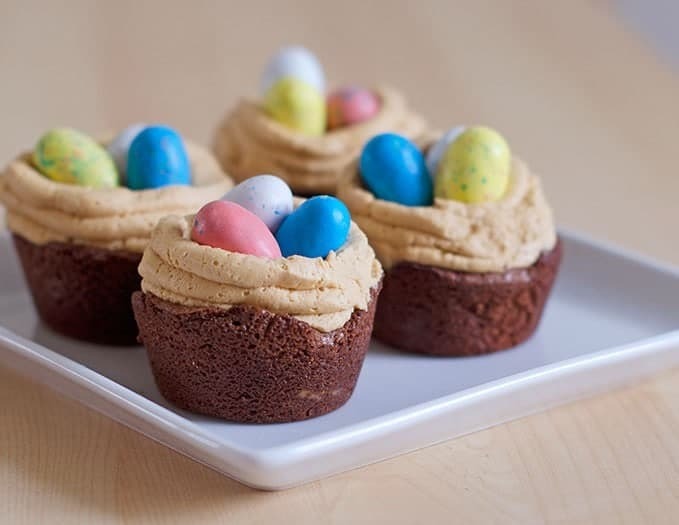 I’m especially a fan of all the creative desserts you see for Easter, so I decided to share a few of my favorite 15 Easter Dessert Recipes today. You can’t go wrong with brownies, peanut butter and candy in my book! 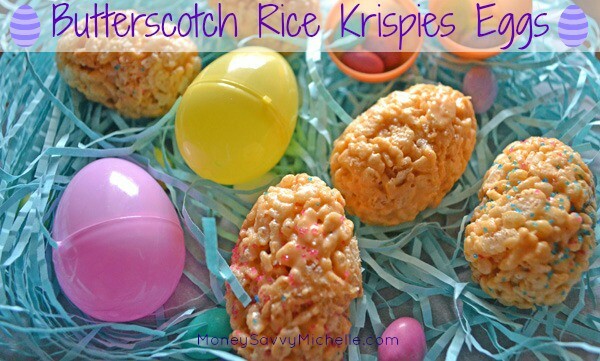 The butterscotch changes up the flavor in these Rice Krispies Treats and I love the unexpected treat inside! Which of these 15 Easter Dessert Recipes are you going to make first?